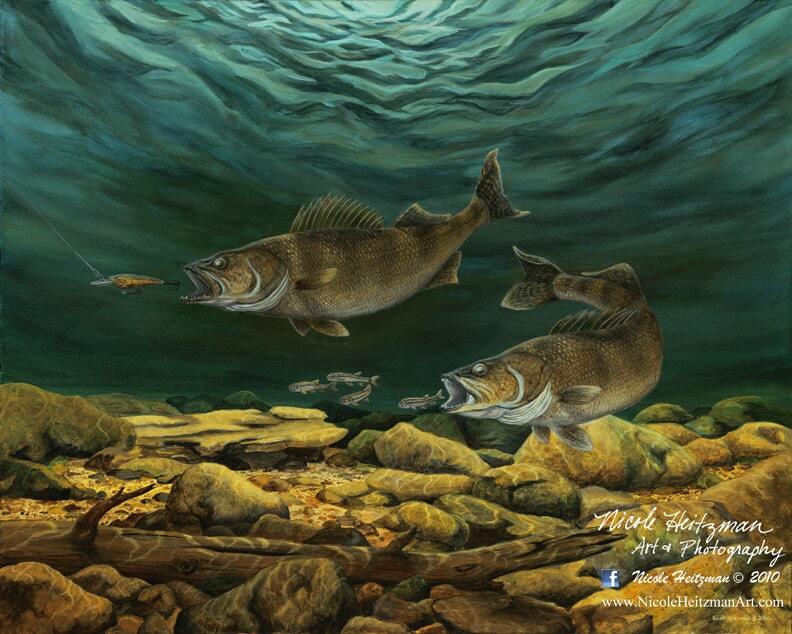 Artist, Nicole Heitzman, painted this walleye fishing scene from inspirations of fishing and exploring the Missouri River in South Dakota. Nicole's parents took her fishing and camping at the river as a baby. She loved fishing so much that her first word was "walleye"! How awesome is that?!? This print is titled "Anticipated Catch". The image itself is 20" wide by 16" high and is a Limited Edition Canvas Giclee print. There are 300 prints in the edition. Framing options are available. Please contact Nicole for customization.